What Do Today’s Microgrid Customers Seek? What are today’s microgrid customers seeking? The quick answer is more reliable power. The deeper answer is that they need “optionality,” according to Michael Carlson, president of Siemens Digital Grid US. Carlson, who will be a featured panelist at Microgrid 2017 in Boston next month, sat down recently with Microgrid Knowledge to describe today’s market and how it is evolving. For Siemens this means incorporating more versatility into their distributed energy products, and discerning which options best serve each customer. The hospital administrator or campus manager might begin with the belief that the facility needs a conventional microgrid. But in truth, a different solution on the multilayered microgrid/distributed energy spectrum might work better. Technology is changing fast. How can microgrid customers ensure that what they install can work with new iterations of products? And how will their systems configure with others — and the central grid — to leverage their full pontential. iPhones (or Androids) offer an apt analogy. For all they can do, they have little value if they can’t connect to the Internet and each other. To achieve configurability for microgrid customers, Siemens is pushing for standards and open technology. The goal is make today’s distributed energy as user-friendly as a webpage. Join us at Microgrid 2017, Nov. 6-8, where Michael Carlson will be a featured panelist. “Anyone who spends more than a couple thousand dollars developing a website will say, ‘I’ve customized my website.’ But if they did so with HTML standards, then their customized webpage can interact with others and there wasn’t any need to spend a lot of money to have point-to-point solutions,” he said. Microgrids and distributed energy need an HTML equivalent. The energy industry still has a long way to go in accomplishing this. To help, Siemens is pioneering research into use of blockchain technology for peer-to-peer exchange of distributed energy. Blockchain is a secure, consensus-based ledger that allows for the swap of vast amounts of data among many individuals without approval of a central authority. In explaining blockchain, Carlson again sees an analogy to the cell phone industry. My iPhone and your Android can exchange data via cell towers miles apart, each run by a different company — competitors like AT&T and Verizon, he said. Yet the solar panels on my roof cannot undertake an energy transaction with the systems in your home. Blockchain promises to remedy this. 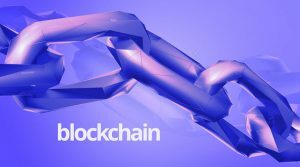 In this case blockchain could act as a “transaction coordinator” to leverage what may be thousands and thousands, or possibly millions and millions of micro-bursts or small energy transactions, he said. “Blockchain gives us one of the best visions of how that could be carried out in conjunction with an electron-based physical network,” he said. 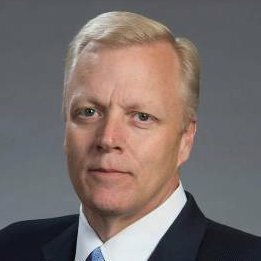 Siemens hopes to bring blockchain from vision to reality. Last year, the company partnered with LO3 Energy to work on what has become the now famous Brooklyn Microgrid, a community blockchain demonstration in early development. Blockchain technology is part of sweep of innovation underway in energy. The pace of change is likely to accelerate even more following the recent hurricanes. Carlson pointed out that it was Superstorm Sandy, after all, that launched the first big drive for microgrid development five years ago. 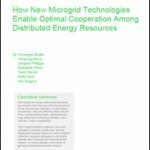 So what can the energy industry do to take microgrids and distributed energy to the next level? Read more stories about microgrid customers, technologies and projects. Subscribe to the free Microgrid Knowledge newsletter.